Saw Shanghai's iconic tower up close and personal, and Shanghai itself from the top. Then went to the History Museum to learn about ancient China, the opium wars, the influence of the Jesuits, the foreign concessions, even opium dens, pleasure houses, the cotton trade, the opera, teahouses, the city's extraordinary architecture, and the popularity of coffee in Shanghai....and many other things.... but not a single reference to Mao or the Cultural Revolution. Thought that was ....odd. It was as though time stopped from 1935 through 1985, then just picked back up again without explanation here. On the other hand, you can spend time in most museums in DC without seeing a whole lot about the Triangle Trade, Red Baiting, Teapot Dome, or Blackwater, so maybe it's not so strange. :-) We all have things we may not want to talk about with visitors. OK, I decided after 6 weeks of grueling 15-18 hour work days, that I was going to take a whole day off. After all, I'm in Shanghai, and for all I've seen of it, it might as well be Cleveland or Tampa. Click the link above for the big album. A week ago I took half a day off and saw some of the old city, but the next day I was so sick that I barely made it to the local equivalent of a Wal-Mart for soup and cold meds before I felt like I'd been run over by a truck. I am still coughing, and my voice is not my own, but today was the clearest, sunniest day we've had since I arrived (the rain has washed most of the smog away for a while) and, though it was COLD and windy, I couldn't stand being cooped up in my high-rise hotel any longer. So, I bundled myself up, packed the Nikon and lenses in my shoulder bag, and headed for People's Square. Sounds very Cold-War Mao Era, right? Think again. It is a very capitalistic beehive of shopping, theaters, art museums, and New Shanghai Architecture. It is Chicago's Miracle Mile (Complete with Brooks Brothers, Adidas, Reebok and Nike stores) meets Atlanta's Buckhead. That's been the biggest revelation to this 50+ visitor to China in 2009. For someone who grew up on images of folks in Mao jackets living and working in a "Communist Country" the reality of the PRC in 2009 has taken some getting used to. The people I've met here are delightful, well-educated, curious about Americans (everyone I've met here has asked me what I think about our new President), gracious, ........once you get past the cultural differences in regard to personal space and what is, and is not, appropriate chitchat with a virtual stranger. If I'd been approached by someone like that in an American city, I'd be clutching my wallet and camera a little closer, and looking for the nearest cop. These were just sweet kids who, seeing a fifty-five year-old Caucasian woman with a camera walking by herself, wondered what the heck I was about. When they found out I was from the States, and I worked in IT, and was...well, instructional designer is always a little tough to explain, so I opted for "teacher and technical writer" you would have thought I was a long-lost auntie being welcomed home for the holiday. I politely declined, but the whole process was fascinating. But shopping in Shanghai is still very stressful for me. Oh, I've mastered the currency and the exchange rate, but even when I have my Mandarin-speaking friends along the bigger issue is the Chinese sense of personal space-- they don't believe in it. In shops and on street corners, absolute strangers crowd right up against you. And if I hang back a bit to allow some space between myself and the person in front of me, three people squeeze into the gap. I'm sure I must make people nuts here. I leave what they would consider way too much room between myself and other people in the grocery, or on escalators -- and- oh, God, elevators. I never realized how freaked out I would be by this. The other day at the office I found myself shrinking back against the back wall of the elevator because there were so many people in the small confined space with me. I thought I had mastered the "I don't speak Mandarin, but I need a taxi" deal. I had the bilingual guys at the concierge desk write out the places that I wanted to go for me, and I put them in my pocket. To get back to the hotel, I had that nailed, too! The hotel provides little business card-sized things that have "Please take me to the Ramada Plaza Pudong" in several languages on one side, and a street map with landmarks on the other. This process has worked very well.... up until today. After spending a few hours wandering around People's Square, I hailed a taxi to go back to the hotel. I handed my little card to the cabbie. He smiled and started to drive. Suddenly, nothing looked familiar. I thought maybe he was taking a different route to avoid traffic at first, but the sun was in the wrong part of the sky. I tried, unsuccessfully, to make him understand that we were going the wrong way. But his English wasn't any better than my Mandarin. 45 minues later, we pull up under the porte cochere of the Ramada Pudong Airport. Thank heavens, the bellman there spoke flawless English, and I asked him to explain to the taxi driver that we were at the WRONG Ramada. That I needed to be at the other side of the Pudong district. The cab from People's square should have been about 45RMB ($6.50) Instead, it cost me about 150 RMB to get to the wrong place, and another 100 RMB to get back to the right hotel. Not the worst thing that ever happened to anyone, but a good reason to learn to speak more Mandarin. Going to try to do a little exploration today- without the buffer of my Mandarin-speaking colleagues. They are both off to visit their families for Spring Festival (Chinese New Year) Could be liberating, or terrifying... but when I have I ever been afraid of a challenge? So the Nikon and I are off to see Shanghai my way. Slowly, thoughtfully, silently. With time to change lenses and worry about the angle of the light. :-) It's pretty cold and I'm still kind-of sick, but I'll take it slow and see what occurs. Exhausted. Burned Out. Sick. My days start before 6 am and end after midnight. Demands in Shanghai, demands in the States. And the pressure to be all things to all people is unrelenting. I'm doing everything I can and it is still not enough-- for them, or for me. No one who hasn't walked in these shoes can really understand what it's like. I've gone from having one body and 2 full time jobs to one body and 4 full time jobs - well, make that closer to 5- in incompatible time zones. Merchandising, SC, Services, Administrative stuff ..... And the demands for my time and help and just plain presence in a specific place at a specific time are simply overwhelming. When I get home, all I want to do is have some silence and privacy. No e-mail, no people, no phones, no conference calls, no Skype. Lord, I've come to hate Skype with a passion. I know it is a necessary evil, but it feels so intrusive. I get up at 5AM so that I can find a little time to work and think without interruption, and, because I'm a walking zombie from illness and exhuastion, I forget to change the default to "unavailable"-- and before I can write the first paragraph I have four "chats" and a phone call popping up because it is 3PM in the States and everyone wants to check in before they leave the office. By the time I get all the Skype stuff answered and get back to what I got up early to do it's time to check my e-mail. Outlook here is a nightmare. It can take as much as 2 hours to get through the typical overnight volume of mail from work, and I have 2 other accounts to check- my Pittsburgh office account and my (gasp) personal mail. I connect to the client Outlook system and hit the shower while the mail trickles in. I wrap a towel around my hair while I sort the messages into "deal with this now," "deal with this later," and "I can't think about this right now." If the phone doesn't ring again while I'm trying to dress, I access the other 2 accounts while I do so. I still haven't written a paragraph of the work I got up early to get done. I'm finally dressed and my hair is semi-dry, and I sit back down to write a little before breakfast. But I notice in my "deal with it now" e-mail that overnight, I've received 3 or 4 urgent meeting requests overnight from the states-- all before noon, because they are on the other side of the planet. OK, deal with that stuff. I take a book to breakfast, hoping to read a little and calm down while I eat-- but am typically joined by one or more of the folks from the project. So now I have to be social before caffeine. Not my finest hour of the day. I still haven't written anything. I grab my laptop and head for the office. My first phone call of the day is the states. "When are we going to see the stuff you've written?" I resist the desire to put my fist through the screen. I reply as politely as I can, I'm working on it, but things are a little chaotic here. "You know you have due dates." Yes, I do, and as soon as I figure out how to manufacture some time and space and privacy to write, I will let myself think about how far behind I am. I finally carve out a block of time to write. I finish something that's only about a week late. I try to upload it to the server so that people in 6 different time zones can read and approve it. THE FREAKING SERVER WON'T LET ME UPLOAD THE FILE. I break the file into smaller parts and try again. No such luck. I try to e-mail it. Have I mentioned that Outlook is a nightmare? No such luck. I've now wasted an hour and a half trying to get the completed file to the people who are waiting for it. In a fit of creativity, I pull out my credit card and buy some space on a commercial server , do a little notepad HTML coding, and voila! folks in five countries can now get the file. But that takes another hour I don't have. ...but the flesh is weak. My voice started turning raspy on Thursday, and by Friday COB, was decidedly gravelly. Saturday I was hoarse, and by Sunday afternoon, my voice was completely gone. A part of me wants to believe, since I have never felt "sick" (just really worn out and crappy) that this is some sort of allergic something or other, but, without being too gross, there are some indications that this is an infection. So Sunday night I haul myself off to the local Superstore to try and find some cough syrup and cough drops. Thankfully, I had Dina with me, because while Crest, Nivea and Tropicana all have made the Pacific crossing painlessly, Robitussin and Halls have not. So I meet the Chinese herbalist. Dressed like a pharmacist and working behind the pharmacy counter, she is a woman perhaps 10 yesrs my senior, and radiates calm and confidence. Through the interpreter, she asks me what is wrong. I tell her that I have no voice, but I am not really coughing much and I have no pain in my throat. She think a moment, and hands me a slip of paper and points toward the cash register. I am charged the equivalent of $2.25, and I receive a yellow box with 400 small black pills blister packed inside. I am supposed to take 6 of the pills, 3 times a day. Figuring that there are 1.4 Billion Chinese who have been using remedies like this for generations, I make a leap of faith and try it. I am here to teach, and I cannot teach without a voice. I think the stuff just might work. I definitely sound better today, but whether that's the herbs or the tea with lemon and honey and chicken soup (**my** grandmother's cure) I've also been downing? Can't be sure. The congestion in my chest is better, and if I don't yet sound like myself, I do have a voice that can be hear d by other humans. I've actually liked most of the food I've tried here, (even some strange stuff that initially looked less than appetizing has tasted pretty good) but yesterday.... ummm.... it was a mixed bag. The first food-based discovery of the day was all my own fault. At Carrefours with Dina the night before, I picked up a 1.5 liter bottle of Kirin orange juice. They had Tropicana and Minute Maid, but I wanted something more "authentic." Every day, the breakfast bar at the hotel has several juices, but none of them are orange, and Floridian and citrus lover that I am, I was missing my daily OJ. Note to self: just drink the grapefruit juice and move on. Lisha has confirmed that OJ here is not even remotely like OJ in the States. Kirin OJ? Think watered down Sunny Delight. Breakfast at the hotel is great. I've discovered that I really like hot, steamed soy milk and all these cool little steamed dumpling things filled with meat or vegetables, and there was a bread and egg custard stuff that is similar to an unsweet bread pudding that I thought might be the ideal way to start a day. Not too eggy, not too sweet, not brick-like or grossly runny and gelatinous. (I'd think it would be completely perfect in a savory version with herbs or a just slightly sweeter version with no more sweetener, but using currants or leftover raisin bread). I'm also a fan of the Chinese take on yogurt, which is drinkable and unflavored and unsweet. I've been opting for the Chinese breakfast dishes, because a lot of the Western stuff that the hotel does for the business and tourist crowd is amusingly "just about one bubble off plumb"- Sometimes really good, sometimes so-so, never awful, but never quite what you are expecting when you bite into it. Take breakfast sausage links. They look like the stuff at the local Bob Evans or Waffle House, and they're not bad, but whoever made them has obviously never had breakfast in the States. The seasoning is entirely too subtle for someone conditioned to being bludgeoned with pepper and sage. :-) Imagine biting into what looks like an apple and finding out it tastes like a plum. Not bad- sometimes really yummy- just disconcerting. That's what eating some of the Western food here is like. Since I have no preconceptions about the local dishes, I can take them at face value. For dinner, I convinced Lisha to take me someplace that had real food that a real local would eat. So the responsibility for what transpired is entirely mine. It was...interesting. Local color, off the radar of the western-influenced businesses that circle the business park and expat hotels and apartments. Families dining in what was clearly a neighborhood joint. Everywhere I go, I seek out places like this, but in China, it really helps to have someone who speaks the language in joints like this. Bad enough I'm big and blonde and ever-so-Western, being illiterate wasn't going to be a plus. I felt it was important to my understanding of Shanghai and folks who live and work here to get out there in the real world. So it was an adventure . What it wasn't was yummy. The only reason I don't feel like a wuss is because Lisha's typically low key comment at the end of the meal was, "I don't think I'd rush back here." The fish with sweet and sour sauce and topped with pine nuts sounded good in theory. I like sweet and sour sauce, I love pine nuts, and I'm determined to learn to eat more fish because of the health benefits. But when this fish arrived, it was grimacing at me as though it was pissed off to be dipped in pink sauce. Creeped out by the intact head and tail, it took me a while to get up the courage to taste it. I eventually got a piece into my mouth. It didn't taste bad, but the texture was very strange. Choking it down, I moved on. Not since college and Liane's mother's scary Vietnamese food or the marathon dinners with Steve-the-Jerk-From-Mitsubishi (the pretentious bozo I dated in Atlanta for a while) have I relied on my will to remain polite at the dinner table in quite the same way. The boiled chicken in skin, served cold with a soy-based dipping sauce was innocuous enough, but I'd had a similar dish, much more attractively and tastily prepared, the night before, so the best I can say for it is that it was inoffensive protein. When hacked into strips with a cleaver, they'd shattered all the bones, so there was no particularly elegant way to eat it. Bite, chew, spit out bone fragments. Lather, rinse, repeat. I'd ordered hot and sour soup-- which is something I very much like. Hey, tofu, vegetables and spicy broth. How could I go wrong? (The other soup on the menu was chicken blood soup, and I couldn't go there.) I like all those things. It was OK-- neither the best nor worst I've ever had. Unfortunately, it was about 2 degrees above room temperature, so it was a little like eating hot and sour aspic. Figuring that, since I was freezing, a cup of tea sounded good, I ordered one. The presentation in a clear 4-ounce glass reminded me of the Russian restaurant in Little Odessa in MN that I stumbled into one day, but the comparison ended there. The fact that the glass was nearly half full of tea leaves was a surprise. Not awful, not warming, and not what I was expecting. So yesterday was a food fiasco day, but if that's the worse thing I can say, I'm doing pretty well. Click the title for more pictures. Yesterday, I took a number of photos from the smokers balcony of the BBY office building. Today's shots are of the BBY office and our Pudong neighborhood from my hotel room. On the left side of today's index photo, you will see a gray and green office building. Look carefully at the far upper right corner of that building and you'll see the familiar yellow and black BBY tag logo. For the past couple of days. my desk has been just a few feet from that logo, on the fifth floor of that building. Look carefully again, and follow the fifth floor across to the left, and you'll see a couple of orange spots. Those are the umbrella tables on the smokers balcony-- the spot from which I took yesterday's photos. Clearly, my hotel is just a quick walk from the office. Despite the fact that the Chinese call the holiday that surrounds Chinese New Year on the 26th the "Spring Festival," you can see from the barren trees and brown lawns that it is still very much late winter here. Weather has been in the 40's - certainly doable, compared to the Arctic conditions that our colleagues in Minneapois and Cleveland, but hardly balmy and springlike. I topped off my day yesterday by falling - HARD- on the concrete and pebble path that surronds the lake. I really bashed my knee and scared Lisha when I couldn't immediately get up, but I'll be fine. I had Neosporin and Band-aids in my suitcase. I haven't had a lot of playtime since I arrived, and I have yet to break out the Nikon, but here are a few shots taken with my tiny pocket Sony. Since one of the reasons for me to come here early was to make connections and "win hearts and minds" I have to be careful to be sensitive to local sensibilities and to appear focused on my task, so I haven't been on a serious photo shoot since I got here. But I did escape the office for a few minutes yesterday afternoon, and stepped out on to the "smokers balcony" of the Best Buy building to make quick snaps of the surrounding architecture and the lake that sits in the center of the office park in which I am working. The most of the skyline in this part of town could be Atlanta or any big city anywhere, but when you get down to street level, you know you are nowhere else on earth. Major streets and large businesses in this part of town-- dominated by expats and visiting Western business people-- have signs in both Chinese and pinyin, and many have English signs as well. The logos on the buildings are those you would see in any corporate park in the US - Not just Best Buy, but Kodak, Jack Daniels, etc. But don't look up too intently-- or you'll be nailed by someone on a motorbike driving with absolutely no regard for traffic laws. The fact that smoking is not the cultural anathema that it has become in the States-- There are lovely crystal ashtrays and boxes of matches everywhere in my suite, and restaurants have smoking sections. Instead of forcing smokers to huddle 50 feet from the entrance to the building, there is a redwood deck with a view of the lake and umbrella tables at the office. And I still have yet to see a vending machine-- for anything. Well, there are ATM's, but I haven't seen a Coke machine, or a newspaper box, or a machine to purchase a bottle of water or a snack--- though those items are readily available in shops that range from Carrefours (an experience not to be believed-- think Sam's Club meets a Flea Market meets Filene's basement-- on steroids) to small Mom and Pops that remind me of the corner bodegas you'd find in any urban area. Chinese food is not what most Americans think of as "Chinese Food"- It's a huge country, so there are enomous ranges, of course, but it is not typically the obnoxiously salty or overpoweringly spicy stuff found in your local take out place. The dishes I have tried so far are basically simple-- but there is a facinating and often baffling array of condiments served with these simple preparations of chicken or meat or seafood or vegetables that allow the diner to create a one-of-a-kind meal from the standard offering. I've also learned to close my eyes and taste, rather than judge things by their appearance. Some things that look unappealing actually taste really good. And I love the fact that breakfast here is not the maple-syrup covered sugar fest or eggs and pig-of-some-sort cholesteral fest that it often can become in the States. Though those things are certainly available. (But why would I travel to Asia to eat the same stuff I can eat in the Residence Inn in MN?) Yesterday I had the most amazing savory vegetable-filled bun. The bread was not unlike challah- a rich, braided egg bread- filled with mixed chopped vegetables. And fruits that I didn't recognize, but thoroughly enjoyed. (a black and white relative of the Kiwi that neither Lisha nor Dina had a western name for). Since I've never been a big fan of traditional American breakfast food, this is a delight. And I've had 2 excellent guides to understanding local culture- Lisha and Dina. I need to go now, but perhaps later or tomorrow, I'll talk about going to Carrefour with Lisha and some of the folks from the office at lunch time, and then going back after dinner with Dina to do some shopping. 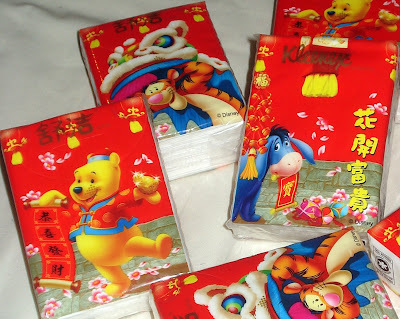 Dina was almost beside herself with delight over this very Chinese experience, laughing out loud and smiling from ear-to-ear at the readily available treats and staples that she remembers from her life here, but cannot readily find in the US. And Lisha's personality is more reserved, but it is clear that there is the same sense of "coming home" that I feel when I land in Philadelphia, find myself surrounded by real cheesesteaks and pretzels and water ice-- all the treats of my childhod there-- and not their "mall food" version cousins. This trip has been a chance to see Shanghai through their eyes-- but also to wonder how Minneapolis and LA look to someone who doesn't really thik of them as the "standard."